The Winter Solstice is happening today and a lot is going down. The Sun moves into Capricorn, the last new moon of the year occurs and Uranus goes station direct today. At 6:17pm ET, the sun moves into the sign of Capricorn. We, in the northern hemisphere will experience the longest span of night for the year. 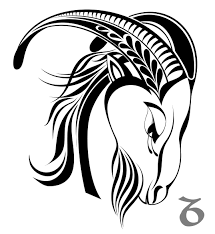 Capricorn themes include perseverance and long term planning. How else could you survive the longest night and the harsh of winter that is coming if you don’t plan ahead? Personally, we should all be looking to plant seeds for long term gain right now. Sagittarius teaches us to celebrate in the here and now but Capricorn assures us that it will continually shift and we should be prepared for it. A cardinal sign, Capricorn is not afraid to move forward but does it with slow yet even sure footedness that turns an acorn into a towering tree in the years to come. Being rooted in earth, Capricorn colors our thoughts with what we need in the material plane right now to sustain ourselves through harsh times. Are you willing or even prepared to tough it out in order to see your wants manifested in 3D? All of these questions should be asked before we set our intentions for the new moon happening around 8pm ET today. The things we intend to complete this moon cycle should be ones that add bricks to the foundation of our long term goals. 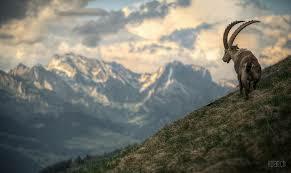 Remember , Capricorn does produce results but they are often seen only in their full glory down the road a bit. Look to your birth chart to see which house or section of life the new moon occurs in to get an idea of where you should be taking steps to move along your long term goals this moon cycle. Uranus also goes station direct in Aries today after months of retrograde movement. Everywhere we have seen sparks of revolution setting fire on personal and national levels. The retrograde motion of Uranus didn’t stifle the inspiration but made it much more personal and clouded by personal agendas. 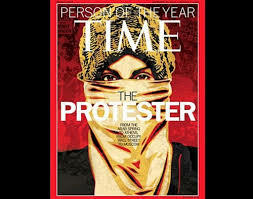 As it prepares to move forward, expect new leaders to continue to step forward for fights in personal and human rights. Also lone wolves with manifestos and explosive personalities will continue to rise. A redefining of self and what one person can do will continue to occur. Use this time to continue to be inspired on your personal journey and to inspire others. Not with grand acts but with a seeking and confident sense of self that calls others to do the same. Uranus moves slowly and effects are generational so the full span of what this placement will do will not be fully realized until decades later. Look to your birth chart to see where inspiration of clarification of self may be occurring in your life. Seize the moment and write your manifesto.